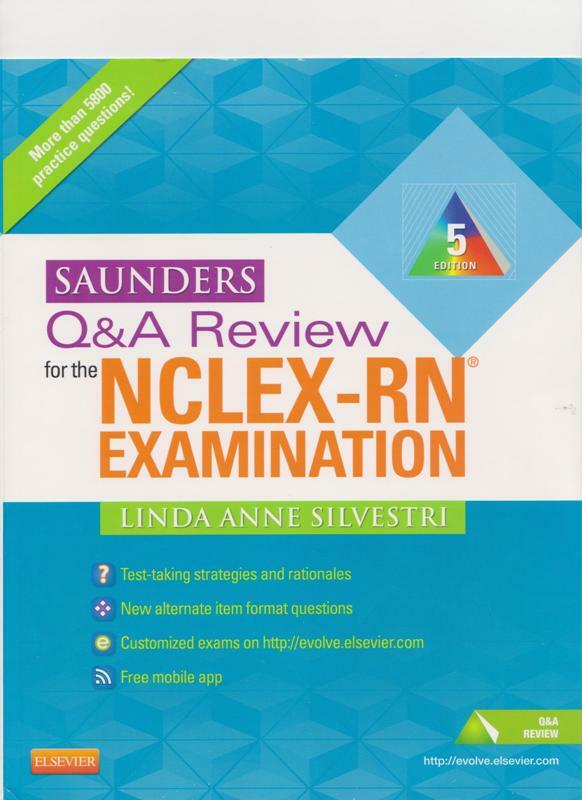 With more than 5,800 test questions, Saunders Q&A Review for the NCLEX-RN® Examination, 5th Edition provides the practice you need to succeed on the NCLEX-RN exam. To enhance your review, each question includes a test-taking strategy, rationales for correct and incorrect answers, and page references to major nursing textbooks. The companion Evolve website adds a pre-test to help in identifying any areas of weakness, and lets you answer questions in quiz, study, or exam mode. Written by NCLEX review expert Linda Anne Silvestri, this book organizes questions to match the Client Needs and Integrated Processes found in the most recent NCLEX-RN test plan. This review is part of the popular Saunders Pyramid to Success, which has helped more than 1.5 million nurses pass the NCLEX exam! · A detailed test-taking strategy is included for each question, providing clues for analyzing and selecting the correct answer. · Rationales are provided for both correct and incorrect answer options. · Questions categorized by Cognitive Level, Client Needs area, Integrated Process, and clinical content area help you focus on the question types you find most difficult. · All alternate item format questions (multiple response, prioritizing, fill-in-the-blank, figure/illustration (hot spot), audio, video, and chart/exhibit) are included. · Chapters organized by Client Needs simplify your review and reflect the question mix in the NCLEX-RN® test plan blueprint. · A 85-question comprehensive exam represents the content and percentages of question types identified in the NCLEX-RN test plan. · Preparation for your NCLEX-RN review includes chapters on nonacademic preparation, test-taking strategies, the CAT format, and a view of the NCLEX-RN from a new graduate's perspective. · Page references to Elsevier textbooks direct you to remediation material for any question answered incorrectly. · A companion Evolve website includes a pre-test to help in identifying any areas of weakness, and lets you answer questions in quiz, study, or exam mode. · Automatic updates of the Evolve site allow you to check for changes to content or functionality throughout the life of the edition. · Content from the most recent NCLEX-RN® test plan covers the newest topics you could see on the exam. · 600 questions are added, for a total of 5,800 in the book and on the companion Evolve website. · Hundreds of new alternate item format questions provide even more opportunity for practice. · A Priority Nursing Tip is included with each question, providing important patient care information. · A full-color design and over 20 new figures enhance understanding and increase the book's visual appeal. · Review format includes chapters on how to study for and take the NCLEX examination, and includes a test for each Client Need category, a test on Integrated Processes, and a comprehensive test for practice in answering questions from all areas. · A new content-area index makes it easier to find questions and review a given disorder/topic.